“Strong-armed?” What sort of language is that for the Trib to use to describe how the problematic legislation was passed? Oh, so now the Trib’s brain-trust declares Obamacare an “ill-conceived” “clumsy monstrosity” that has brought “three years of painful trial and error” to the American people? And their recommendation is to re-build Obamacare on its failure? It’s reminiscent of that scene in the Bruce Willis movie Die Hard when John McClane throws a dead crook out the window of Nakatomi Towers on top of Sgt. Powell’s patrol car to get his attention. In the Trib editors’ case, the body is the “monstrosity” of Obamacare falling on America. “Welcome to the party,” Tribune editors. This access was granted to them when the material was under seal and unavailable to anyone else, in or out of the media. IP2P has learned that Coen has made another claim – one that takes the cozy relationship between the Tribune and the Feds to a whole new level. Remember, the Feds initially leaked information to the Tribune about the existence of the Fed’s wiretap on Blago. When asked about the sealed Blagojevich tapes and transcripts that the Feds shared with the two reporters for their book, Coen replied that the leaked material was “the Tribune's business.” He refused to elaborate. In other words, talk to my boss. So we’ve talked to Coen’s boss. Tribune Editor Gerould Kern was asked why the Trib has failed to share the tapes and transcripts with its readers. We call upon the Chicago Tribune to inform its readers and publish the transcripts. After all, they represent news, and the paper is supposed to be in the news business. There is no legal ban on printing the material. Chase and Coen have already referred to tapes in their book. But there they only quoted material from inane conversations with little news value to Chicagoans. In other words, they teased their readers, but didn’t inform them. 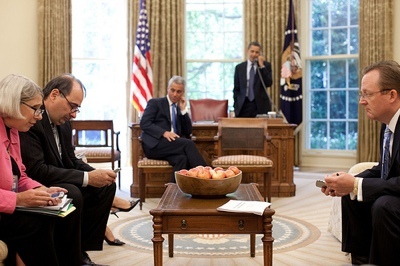 So to Gerould Kern we say: Tear down this wall that hides the Blagojevich tapes. Hey Chicago Tribune, what kinda Journalism is that? The traditional rules of journalism apparently don't apply to the Chicago Tribune. Now it's the rules of "Forward Journalism" that they follow. Basic rule #1 - When you get the inside scoop on a wiretap the government's running on a sitting governor, you don't make a decision at 10:20 p.m. to derail the government's investigation, while, at the same time, flushing the biggest news story of the year down the drain with a John Chase phone call warning Gov. 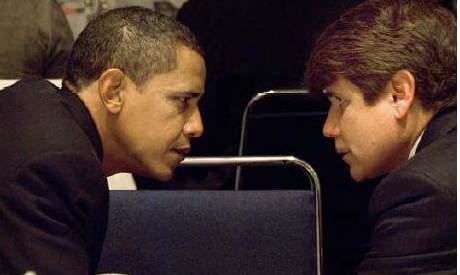 Blagojevich that the feds are listening. Unless you "report" for the Chicago Tribune. Basic rule # 2 - When you write the self-described definitive book about the Rod Blagojevich affair, as reporters John Chase and Jeff Coen claim to have, and the U.S. Attorney's office publicly takes issue with the honesty of your claims, you back up your story with evidence that supports your words. Basic rule #3 - When the honesty of reporters is challenged by the U.S. government, the Editor stands by his or her reporters, or excepts responsibility for their mistakes and makes the appropriate changes to protect the integrity of the newspaper. Unless you're an Editor at the Chicago Tribune. Ever since the U.S. Attorney's Office of the Northern District of Illinois went on the record disputing claims made by Chase and Coen, the two Tribune reporters have been mute, refusing to comment. Not only are they not responding to troubling accusations from the USAO, Tribune editor Gerould Kern, and the publisher of "Golden," the Chicago Review Press, are, also, hunkered down refusing to comment. So is that the new style of "Forward Journalism"? We, at IP2P, subscribe to the American traditional rules of journalism. We call for honest answers from the Tribune, on behalf of the citizens of Chicago, and Illinois.